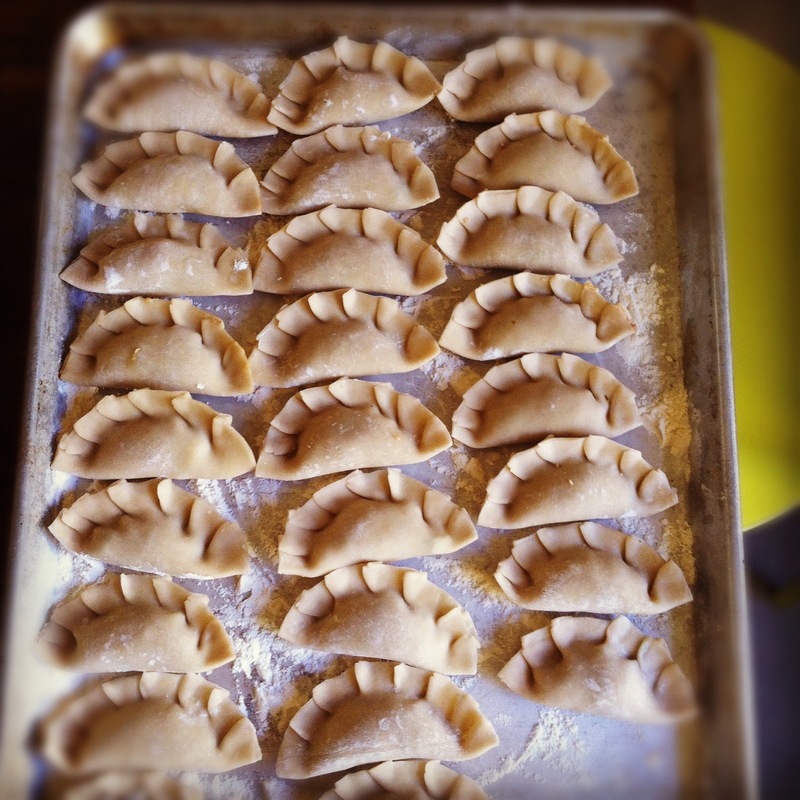 When I make dumplings, I think of Christmas. I am transported back to my childhood and my grandparent’s house in a Florida golf community. 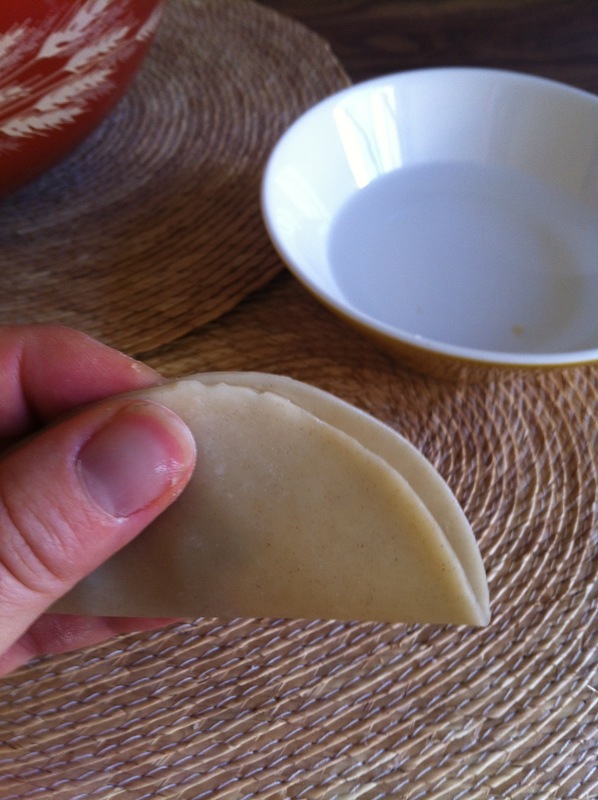 My halmoni, mom and aunties are sitting around the square table in the breakfast nook, chattering in Korean and folding tasty fillings into doughy pillows. 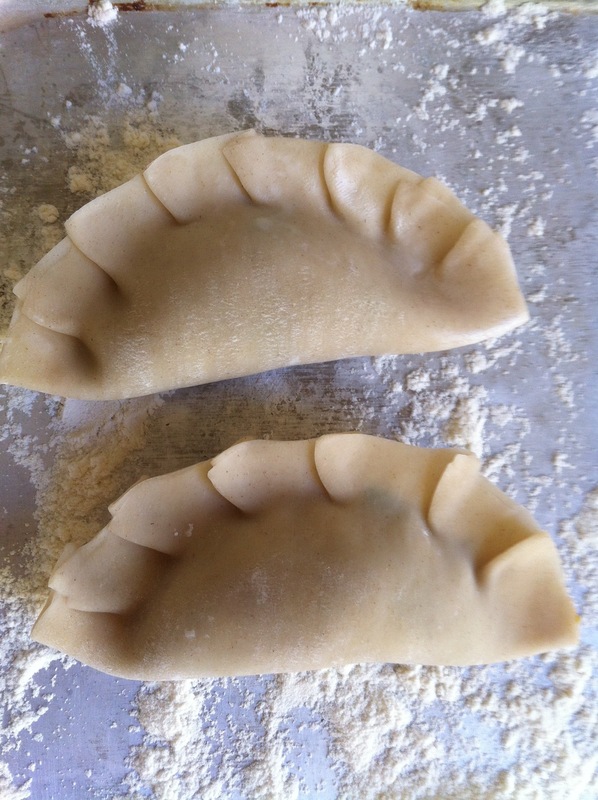 Later, the dumplings will be steamed, pan-fried or boiled. 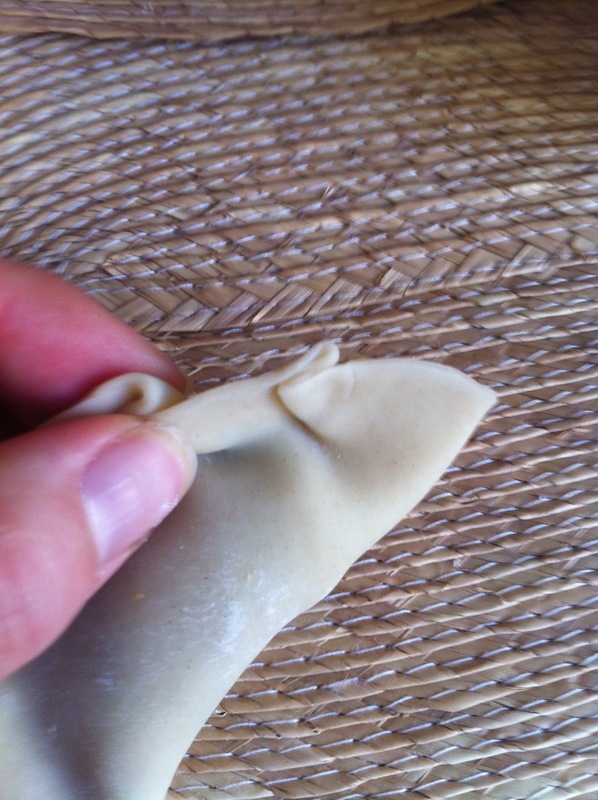 I fold along with them, though my versions tend to be over-stuffed and a little sloppy. Still, it’s great to be the kid amongst the grown-ups. Most of what they say sweeps over my head, but I can usually get the gist by interpreting the tone of their voices. If they are speaking in whispers, chances are the subject is one of the men sitting over in the living room in front of the TV. 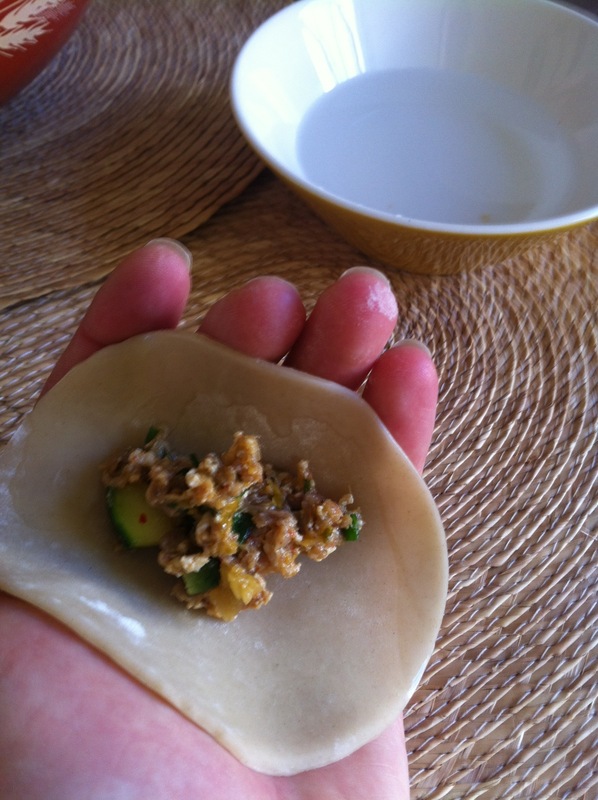 I still love to make and eat mandu. It’s the tastiest of nostalgia, Christmastime or not … These were made with beef, kimchi, zucchini and tofu, a little twist on our old family classic. It’s important to get rid of as much liquid as you can. 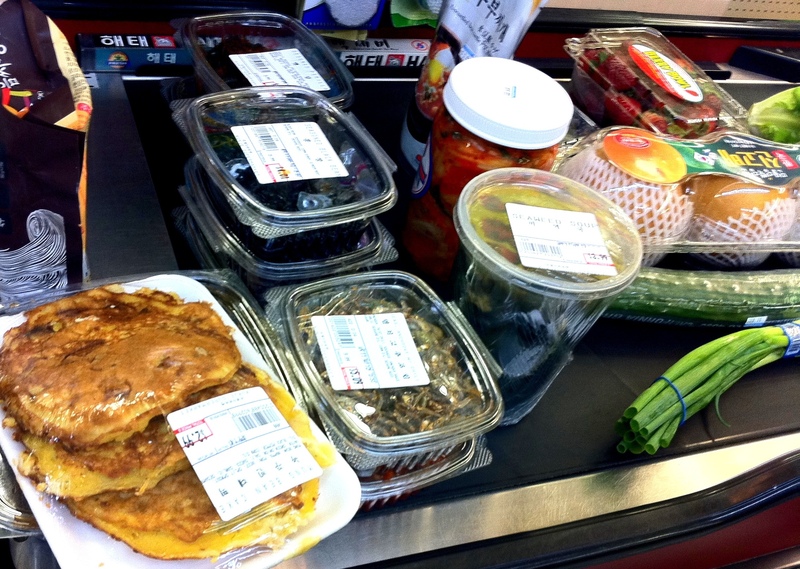 So salt the zucchini for 10 minutes before rinsing, and squeeze out as much juice as you can from the kimchi. The former should be chopped small enough not to make big lumps and possibly tears in the skins. 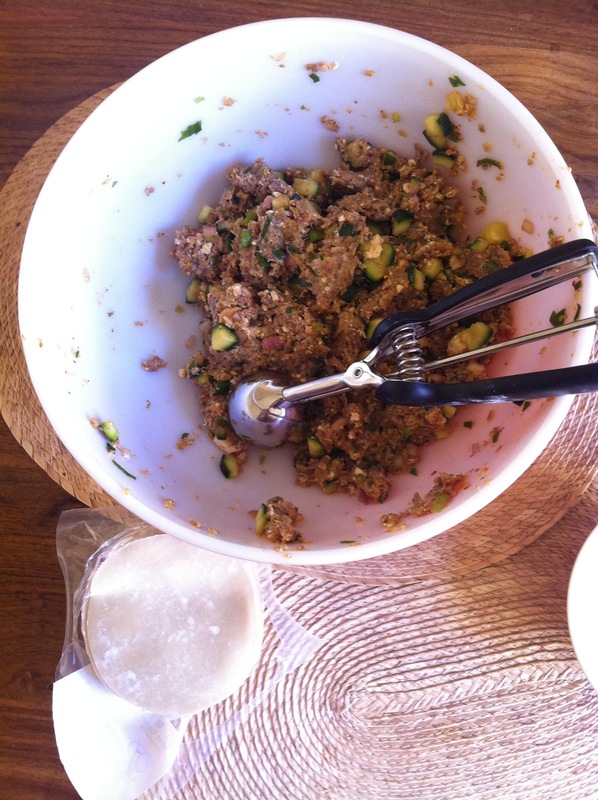 The latter can be whirred up in the food processor, quick and easy. The filling. And, yes, that's a cookie scoop! Not too much filling or the dumplings will leak. 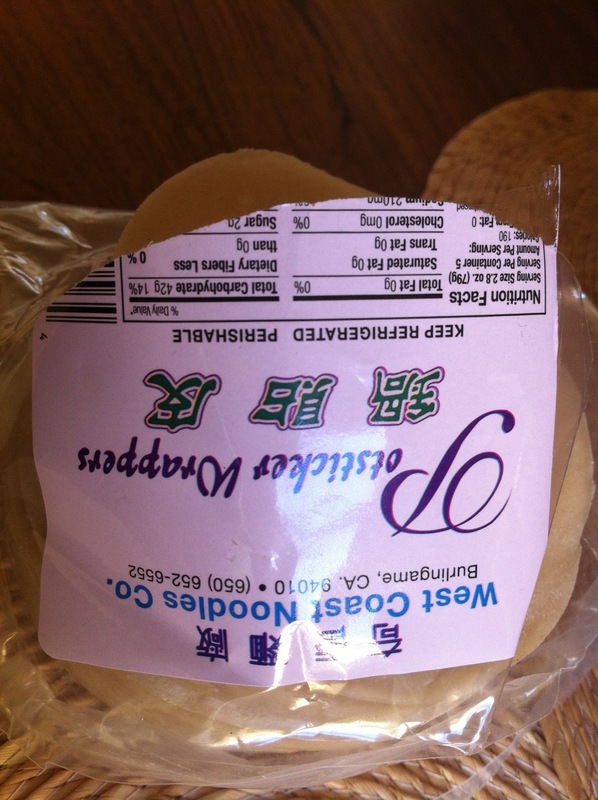 A great local brand of dumpling skins -- nice and thick! 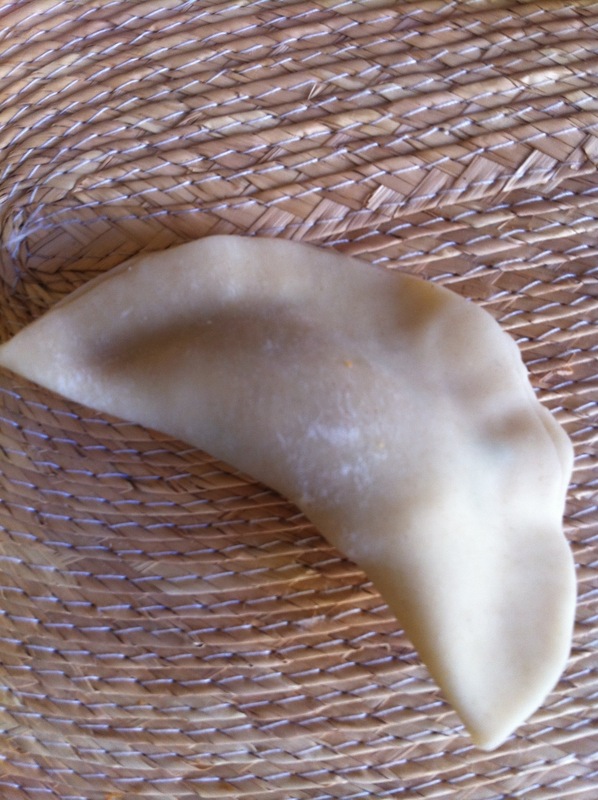 This entry was posted in Family, Food, Korean American, Korean Cuisine and tagged dumplings, Korean food, Mandu. Dragons lair: Three pork and water chestnut dumpling dragons perched on a red-leaf lettuce salad; a flock of carrot birds atop sauteed cucumbers and beef with rice. Fresh berries for a happy ending. 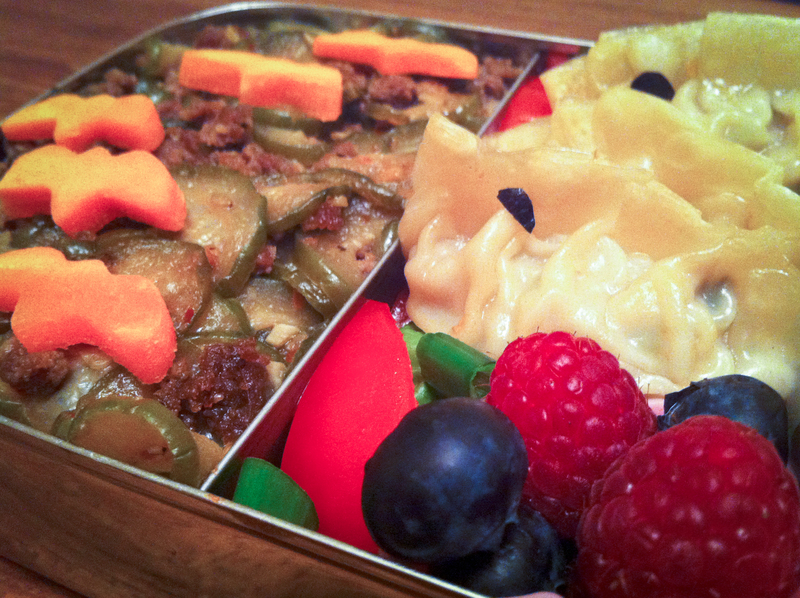 I haven’t made bento in a long, long time. While there are numerous joys of working from home, such as the irrelevance of kimchi breath, it doesn’t make much sense to pack your lunch. In addition, when you do work “out,” it’s usually at a cafe, where toting in your own food would be highly frowned upon! That said, I’ve been cooped up in the apartment all week with a nasty cold. It began Sunday night and grew worse with each passing day … Finally, with the aid of magical antibiotics and a whole lot of tea, I am just now released from my self-imposed quarantine. 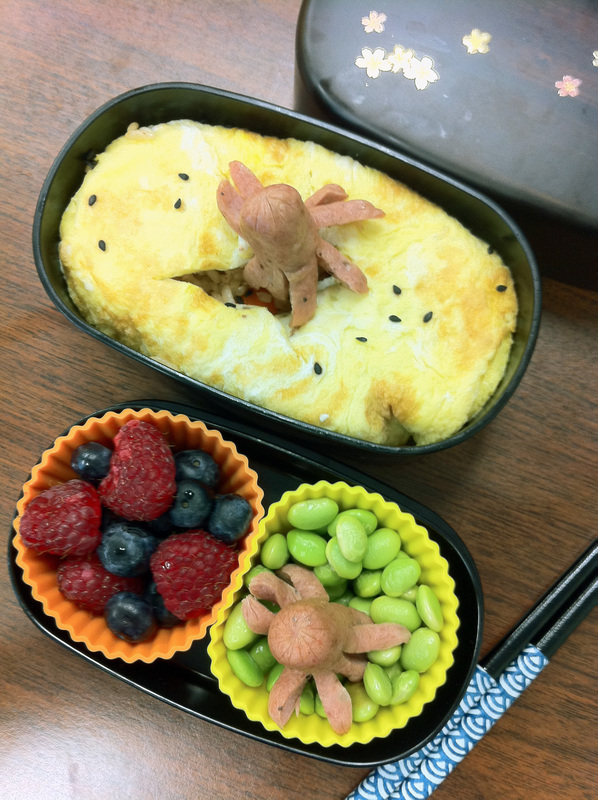 Thought I’d celebrate with a little bento-making. 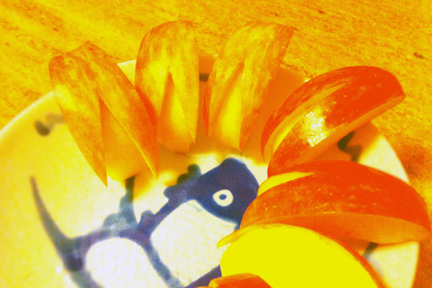 Year of the Dragon, this one’s for you. Hope you are healthier moving forward. 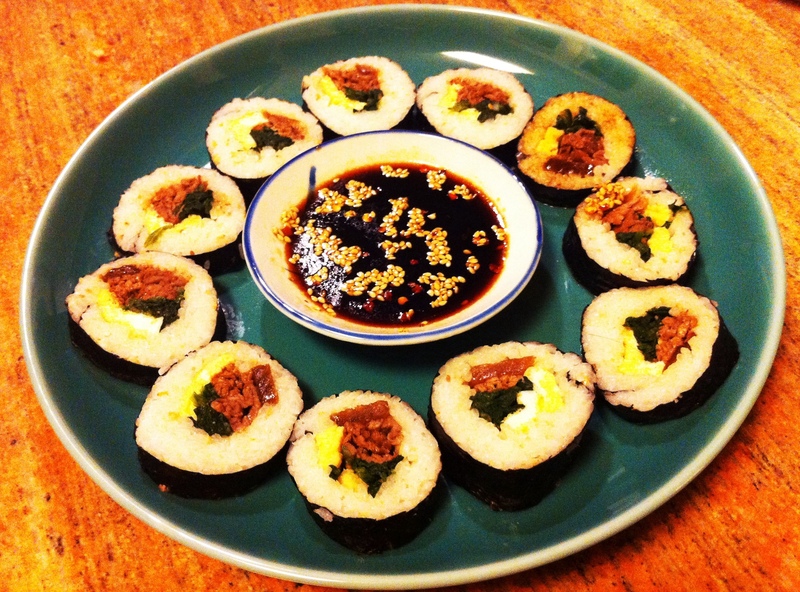 This entry was posted in Bento, Korean Cuisine and tagged bento, Korean food. Experimental version of Dak Dori Tang with seared chicken thighs, mixed baby potatoes, green onions and a side of mixed-grain rice. Think I may have to fork-and-knife this one. 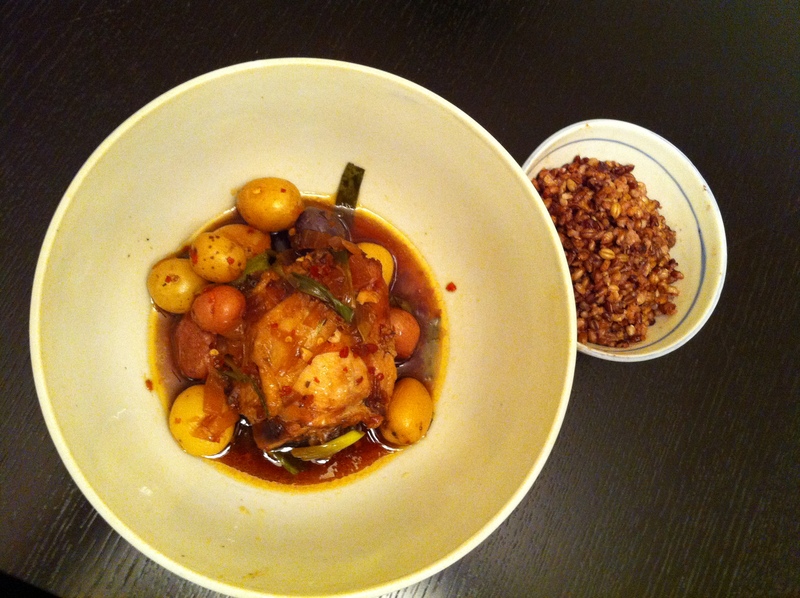 This entry was posted in Food, Korean Cuisine and tagged chicken stew, food, iPhone, Korean food. 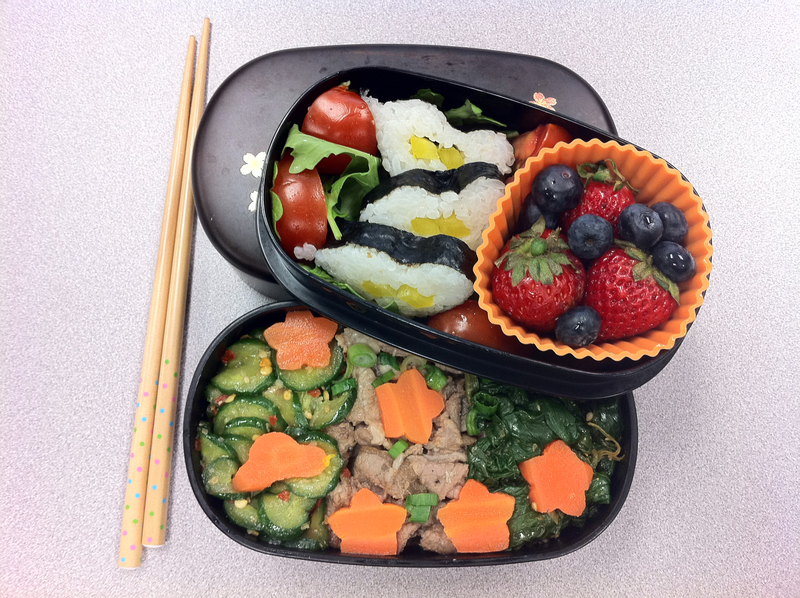 Koreanese bento #8: Bulgogi, shigumchi namul and oiee moochim on a bed of rice; (misshapen) seaweed heart roll with yellow bell pepper; salad and fresh fruit. 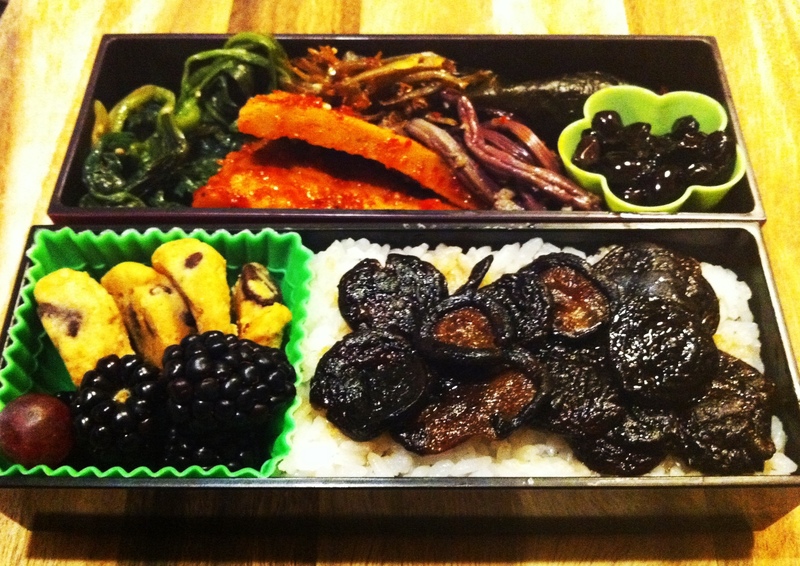 This entry was posted in Bento, Food, Korean Cuisine and tagged bento box, bibim bop, bulgogi, namul.